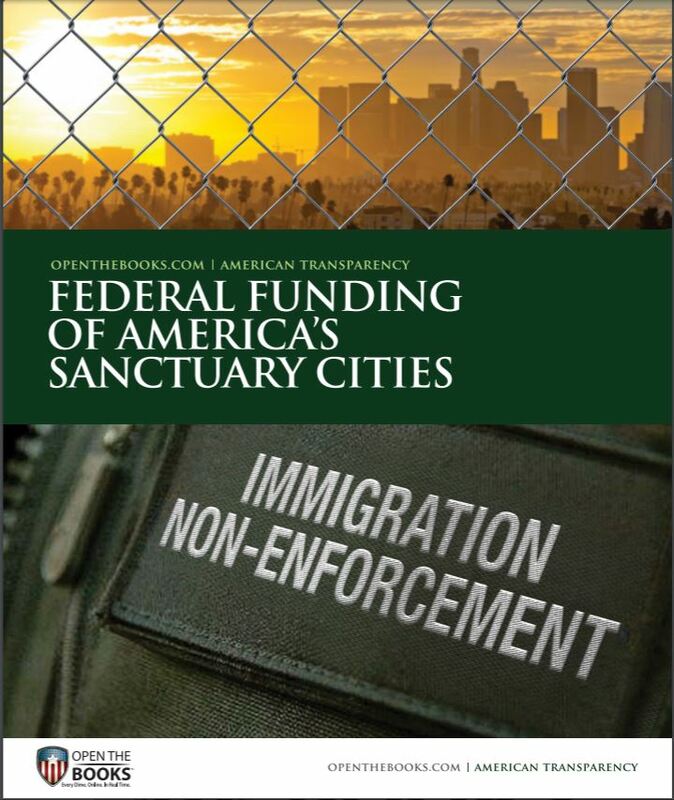 On January 25, 2017, President Donald J. Trump issued an Executive Order denying federal funding to sanctuary cities who choose not to comply with federal laws regarding deportation of illegal entrants. However, the politicians, pundits and journalists admitted that the total amount of federal funding was undetermined. 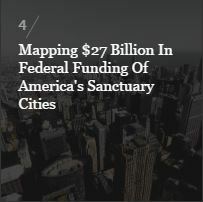 We mapped the federal funding into the 106 Sanctuary Cities. Go to our interactive map, click a pin and 'scroll-down' to see the results rendered in the chart below the map. 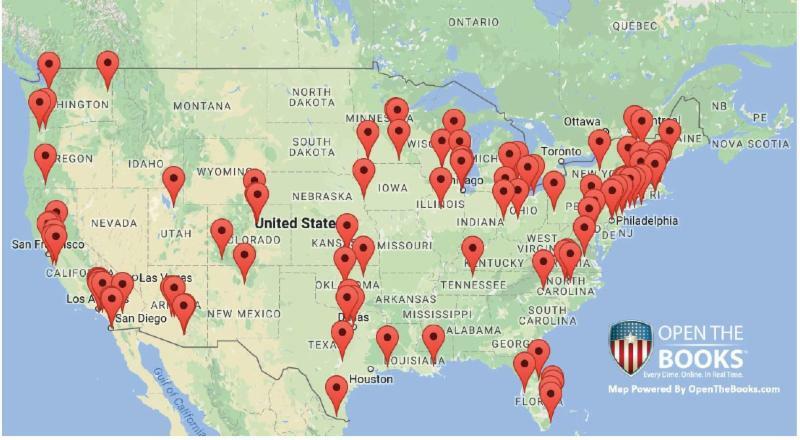 Share the map on your website with copy/paste of the HTML code. REAL CLEAR POLITICS, REAL CLEAR POLICY and REAL CLEAR INVESTIGATIONS highlighted our OpenTheBooks oversight report. Ethan Barton at DAILY CALLER, Tyler Durden at ZERO HEDGE, Paul Bedard at WASHINGTON EXAMINER, Elizabeth Harrington at WASHINGTON FREE BEACON, Josh Siegel at HERITAGE FOUNDATION - DAILY SIGNAL, Austin Yack at NATIONAL REVIEW, Matt Vespa at TOWNHALL, Joseph Smith at AMERICAN THINKER, Peter Huessy at ACCURACY IN MEDIA, DENNIS MICHAEL LYNCH website, and MEGYN KELLY on her personal website.